Having never heard of Mount Robson Provincial park until I visited it the first time, I didn't really know what to think of it. However, My brother and I decided to do a shortish hike on Kinney Lake trail. 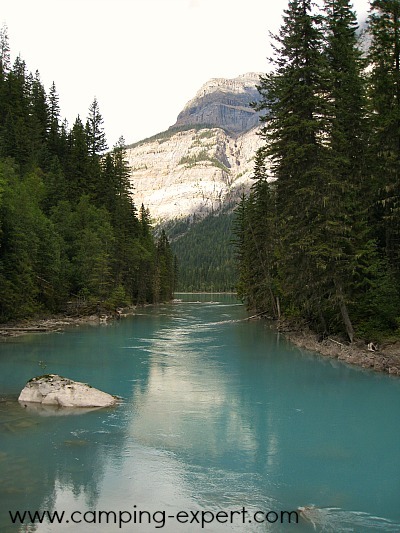 Mount Robson Provincial park is located as a neighbour to the west of Jasper, and its nearby and southern neighbour, Banff. Even though Robson isn't as large or well known as Jasper is is beautiful! (plus, it's cheaper, cause when you visit Jasper and Banff, you have to pay a daily park fee, AND a camping fee... which is VERY expensive in my opinion). 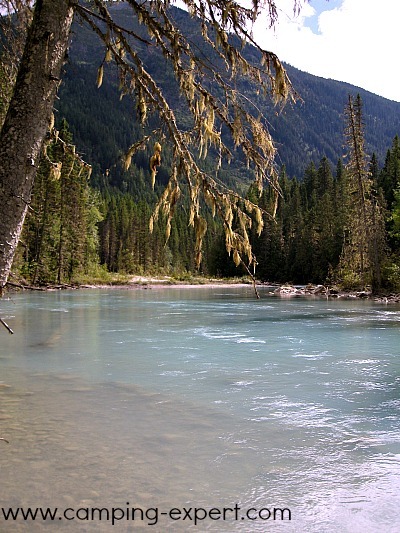 Unlike the nearby Expensive National Parks, it is FREE to use the hiking trails for day hikes in Mount Robson Provincial Park. So… we decidd to take advantage of their maintained trails. You can’t beat the price! It was recommended that we do the Kinney Lake trail. This trail takes about 9 km and takes approx 2.5 hours total, and is relatively easy, wide and not too hilly. It is definitely a good hike. When first starting the hike, there were beautiful baby blue running rapids that flow beside the trail. Before reaching Kinney lake there is a wide bridge where you can get a glimpse of the lake with the mountains , glacier and river. Upon reaching Kinney Lake, the water was like glass with stunning mountain backdrop reflecting into the baby blue water. It’s as if the mountains were so beautiful that the lake decided to hold up a mirror! The view of Whitehorn mountain reflected in to Kinney Lake is stunning! Definitely worth the hike! If you want to continue forward, the trail narrows and turns into a back country backpacking trail where you can pay $10 per night per person to camp and takes you to Berg lake. We met an older gentleman who decided that it wasn’t too late for him to do it even considering his age and that he’d have to do it alone. He thought it would be worth it. We would go back and do it again ourselves too! The trail can be quite busy, but it didn’t seem too crowded when we were there in September. Along the path we read about the ways that the sediment from the glaciers and rocks flow into the rivers making this stunning turquoise blue colour of the Robson river. Second oldest Provincial Park in British Colmbia. Mount Robson is the highest peak in the Canadian Rockies at 3954 metres high! Part of the Rocky Mountains World Heritage Site of the UNESCO in 1990. Native Americans called the park Yuh-hai-has-hun : the mountain of the spiral road. Visit as a car camper, or travel into deep wilderness, the choice is yours!! - for more experienced hikers/backpackers. 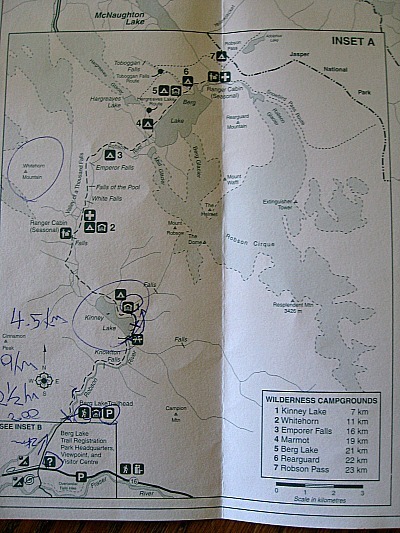 Berg lake trail - a total of 23 km (3 day suggested trip length). It can also be combined with the Moose River trails making 90 km (approx. 7 days). You need to get a camping permit to do this trail. Mount Fitzwilliam Trail - 7 km (3hrs) to the first campground at Rockingham creek crossing, and another 14 km (1 day) to alpine lakes. 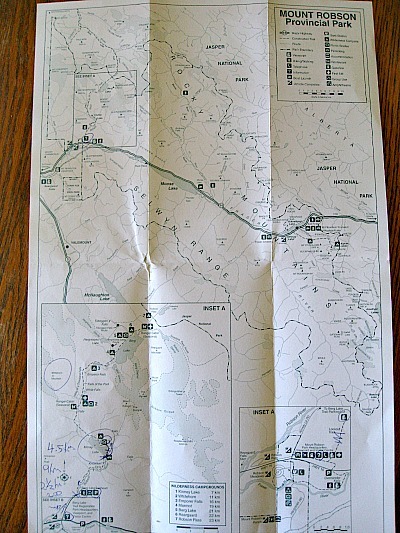 This is suggested to be a several day backpacking trip. Elevation change 1000m. Remember, always talk to staff of the park of any dangers and conditions of trails before starting. 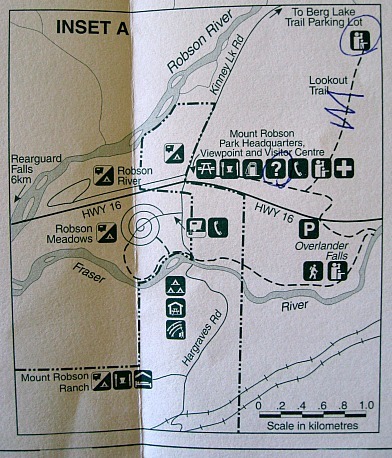 Robson River (19 spots) - has showers and wheelchair access. None of these have electrical hook-ups. Lookout trail - 4 km long and takes you to beautiful views. Yellowhead Mountain Trail - 8.5km, 1 day round trip, no overnight. Rearguard falls - this is super short, only 300 metres to the waterfalls. Fraser River Nature walk - 2 km (30min), walks you through views of Fraser river and fragrant forests. Amphitheatre - if you are doing car camping, or the night before or after a long trip, you could attend one of the educational evening talk, or perhaps a guided walk. Playgrounds and Horshoe - if you have kids - this might be a great place to bring them to burn off some of their extra energy!!! Visitor Centre - great info on trails, educational material on natural and human history. Observe Wildlife - you can find all the same wildlife here as Jasper, such as white tail deer, grizzlies, caribou, mountain goat and sheep, moose, and many different birds (180 species)! Fishing - not likely. Yes there are fish... but you're unlikely to catch anything. 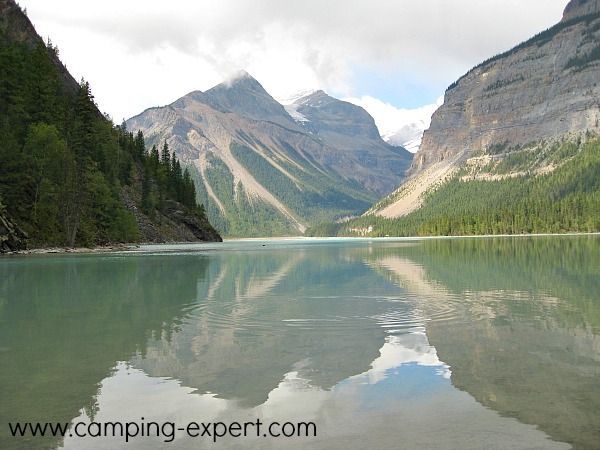 Would I recommend Camping or hiking at Mount Robson? YUPPERS!!! Wish I'd spent more time there. 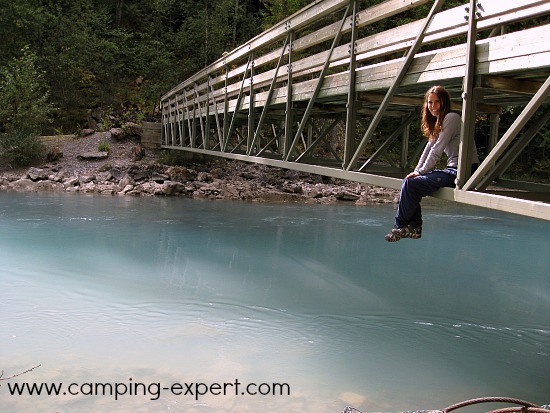 Check out other Amazing places to go camping and hiking in North America.